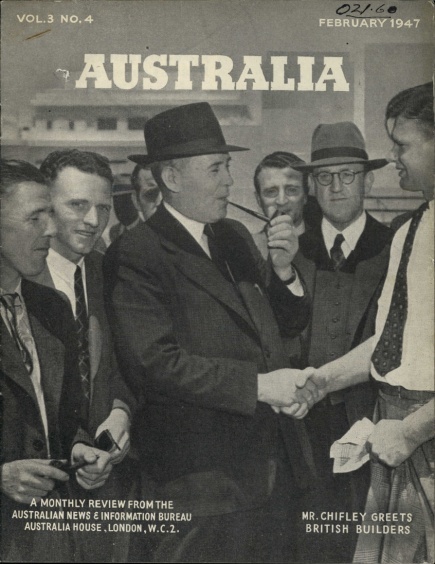 Soon after announcing his search for ships and migrants to fill them, the first Immigration Minister, Arthur Calwell, welcomed the first group of migrants from the UK after the war that had come to Australia with an assisted passage. 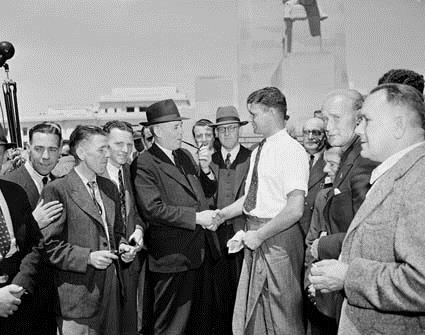 The group of young men, who sailed into Sydney on the SS Largs Bay in January 1947 were welcomed with great fanfare. 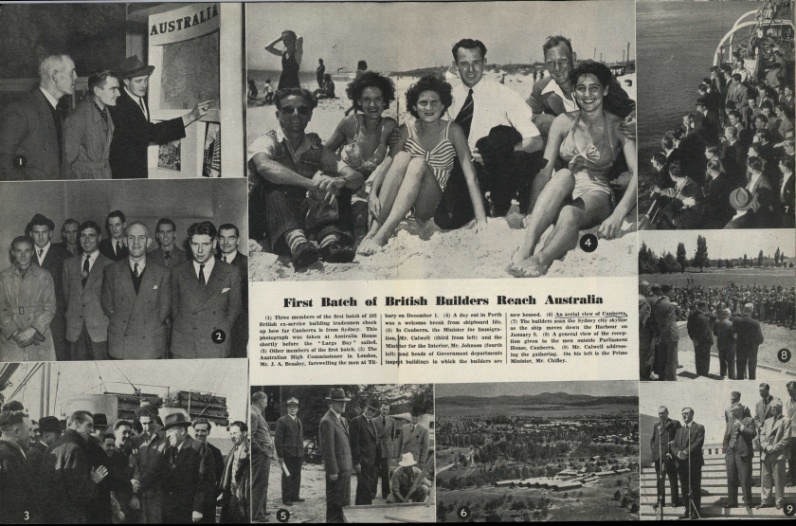 Known as the ‘builder migrants’, they were sent to Canberra to help build new houses and buildings for the post-war boom. 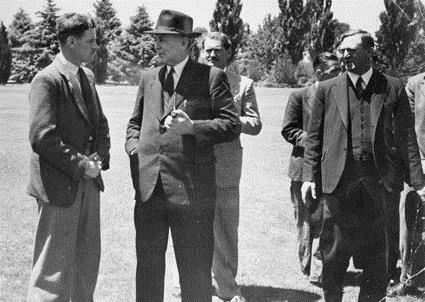 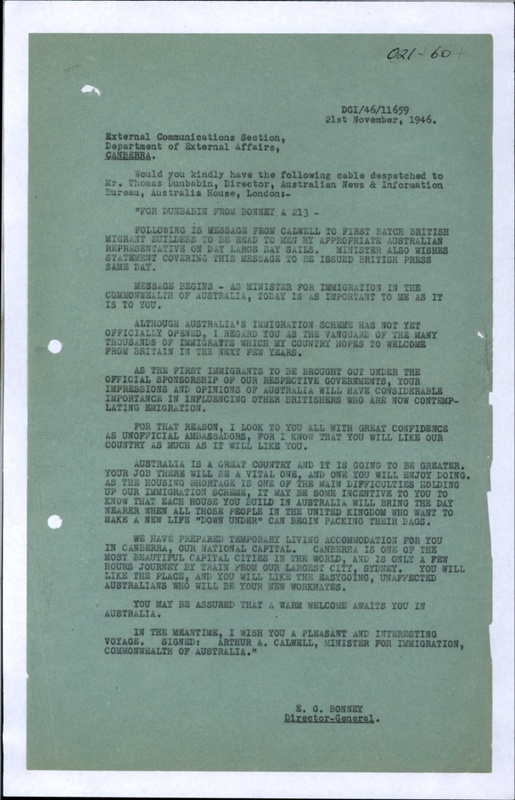 They were greeted by the Prime Minister, Ben Chifley, the Immigration minister Arthur Calwell and members of the press. 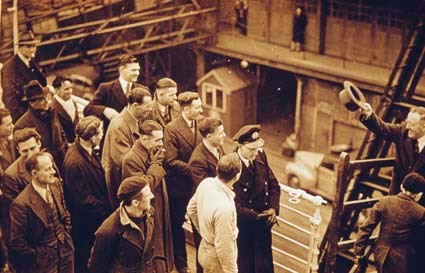 This arrival marked the beginning of the great immigration publicity campaign.